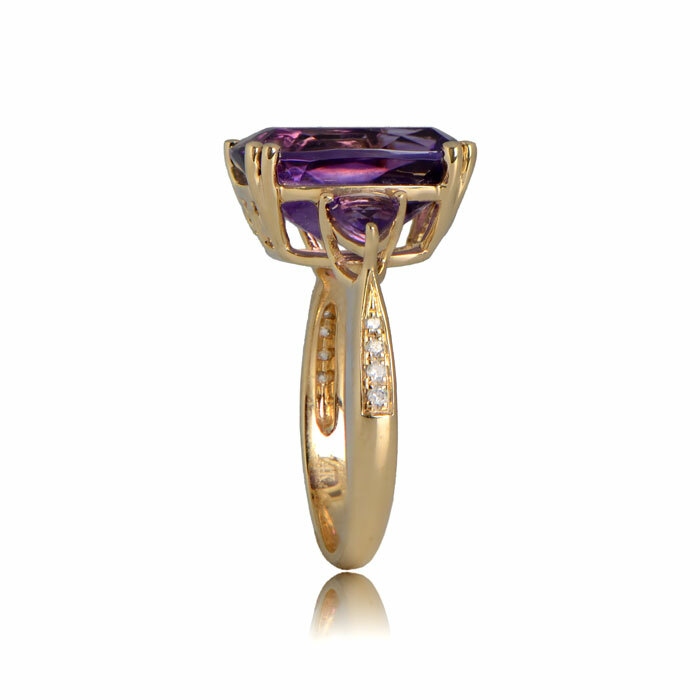 The Nassau Ring features a beautiful long cushion cut amethyst that is accented by two amethysts on either side. 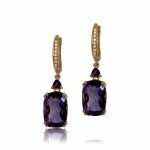 The 14K yellow gold mounting features a scroll-motif on the gallery. 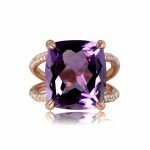 The center amethyst is 14mm x 10mm and weighs 6.07 carats. The diamonds have a total carat weight of 0.05 carats. 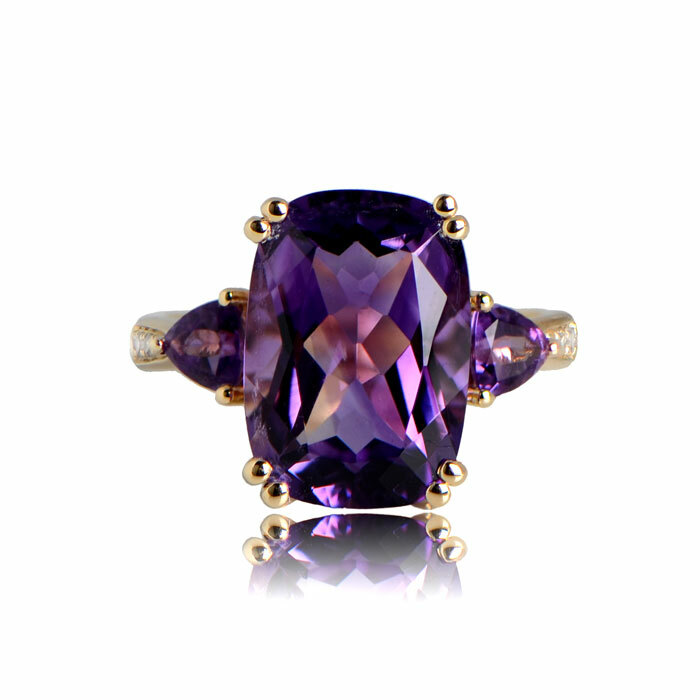 SKU: RY00098AM Category: Amethyst Rings - Contact us and request additional pictures.